We were down to our last days in Thailand and in two more sleeps, would be heading home. 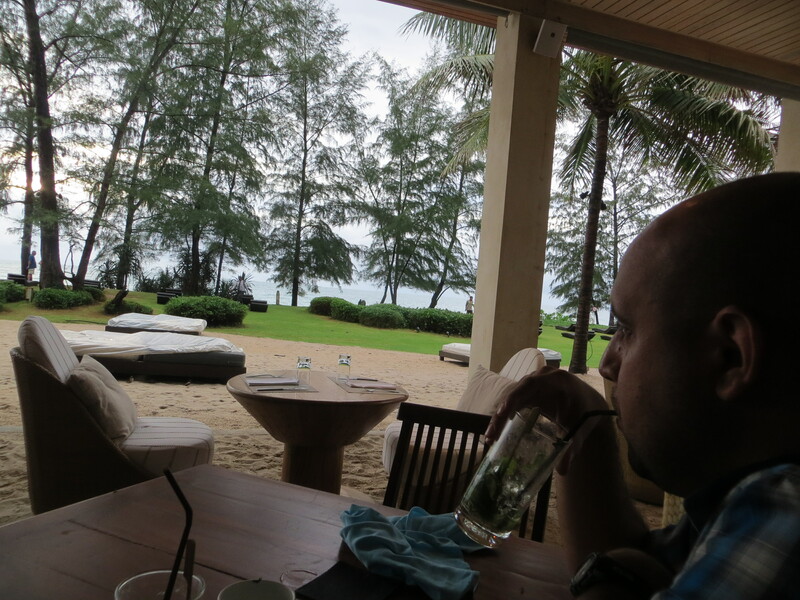 We had decided in advance to not do much exploring in Phuket. Our focus was on Krabi and Phuket was just going to be our resting place before our long trek home. 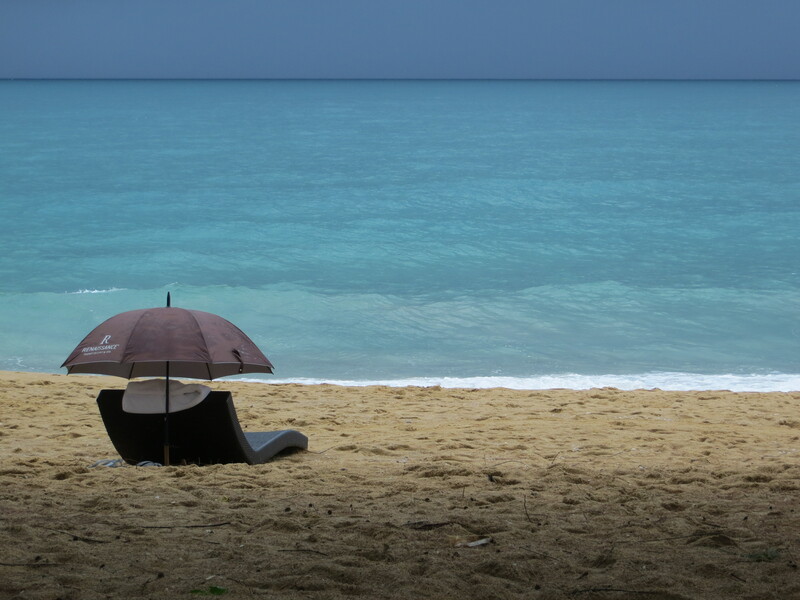 We couldn’t have planned a more perfect idea as things played out in our last two days in Thailand. We took a speed boat from Krabi to Phuket. The best advice I can give if travelling to southern Thailand is to backpack it. We were so glad we did. Throughout our stay, we saw people struggling on and off boats with their suitcases, sometimes having to wade in knee-deep water as they carried their luggage to shore. Backpacks just make moving around so much easier and quicker. 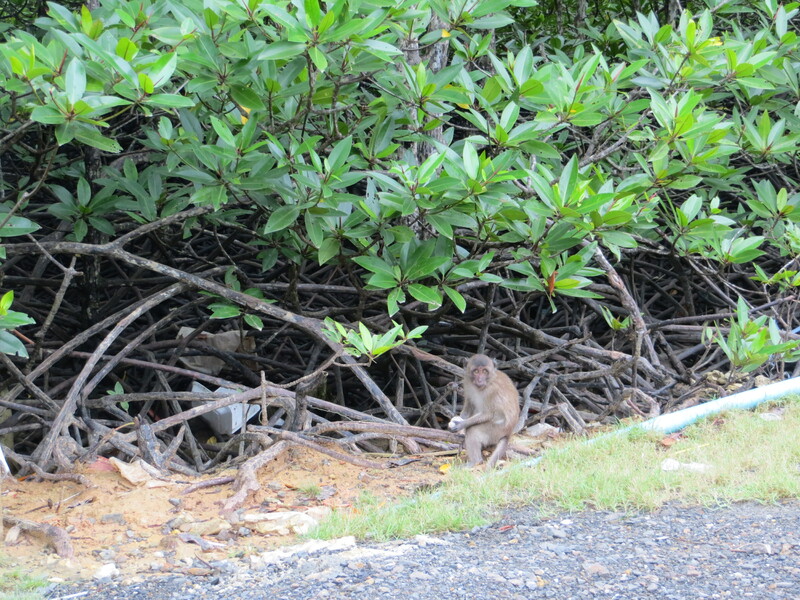 I saw my very first wild monkey as we travelled from the pier to our hotel on Phuket Island. First, the hotel is located at the far north end of the island. We chose that location because it is close to the airport and we knew by the end of our trip, we would probably want the shortest distance to travel to the airport for our flight home. But, it was a good distance away from everything else and we would have to take a taxi to get anywhere. So far, we had been on 7 flights, 3 boat trips, 1 train ride, a tuk-tuk ride, endless subways, countless taxis and miles upon miles of foot mileage in under 2 weeks so we did not want to move. Second, the weather was unfortunately not cooperative. There were brief storms and heavy rains that kept us indoors for a good part of our stay. 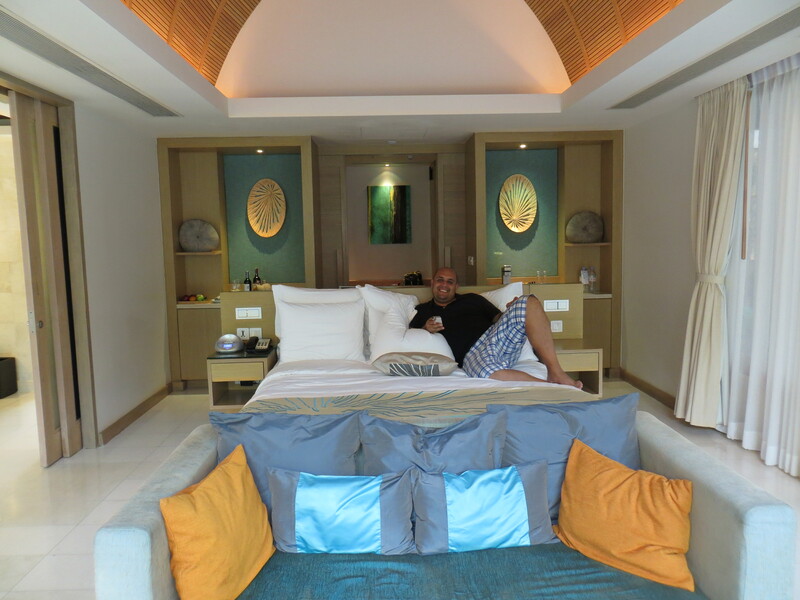 But, we could not have been holed up in better place; the Renaissance Phuket Resort & Spa was A-M-A-Z-I-N-G.
Of course, it helped that Armando is a Platinum member with the Marriott, which Renaissance is a part of. Because he travels and stays with the Marriott on a weekly basis, we used some of his accumulated Marriott points to stay at the Renaissance. We wanted to end our trip on a high note, for free! When we arrived, the front desk lady asked us to follow her for our private check-in. Private check-in? Uh, Okay. 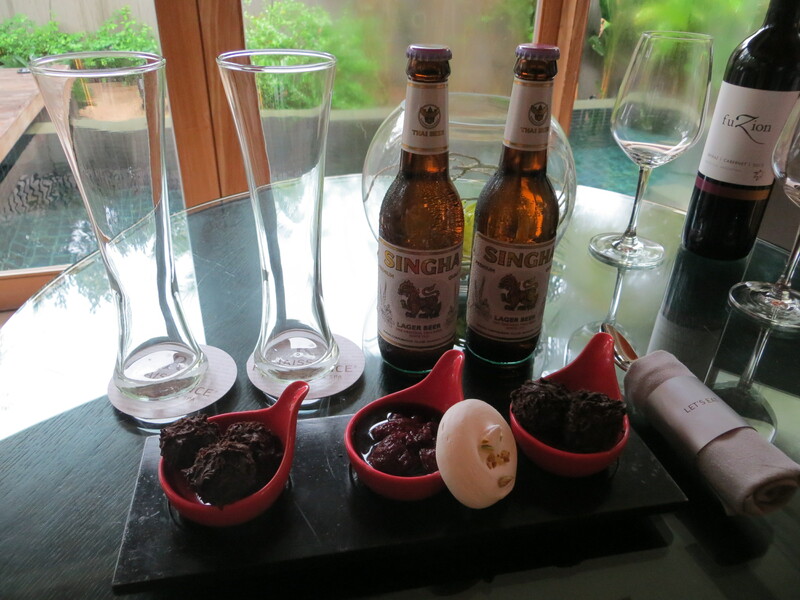 She then took us on a golf cart, through the property and stopped in front of a private pool villa. 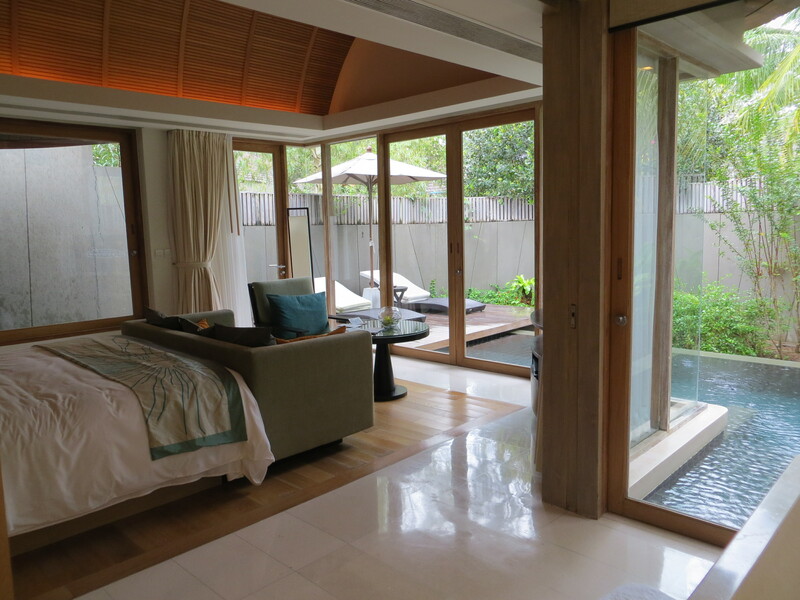 She advised us that we were upgraded and took us inside to do our check-in in the privacy of our, in case you didn’t hear it the first time, Private Pool Villa! Eeeeee!! For real?! The perks of having a husband who travels. Jumping up and down like a child, I could not contain my excitement. Oh, but I can give the air of being classy and of course waited until the lady left before I started bouncing off the walls and exploring our near 1300sq.ft. digs. 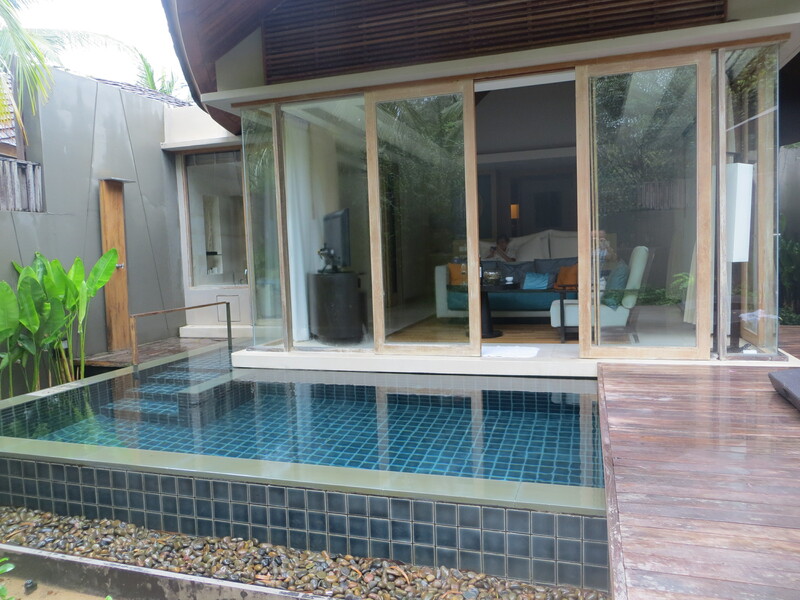 Our villa included a private pool and patio. No sun? We still had to hop in and enjoy the pool. After all, how often do you have your own private pool? There was even an outdoor shower as well as an indoor shower that was fully surrounded by floor-to-ceiling windows with high fences surrounding the villa for privacy. And don’t get me started on the largest bathtub I have ever seen in my entire life! Who needs sun when you have a place like this to relax in? 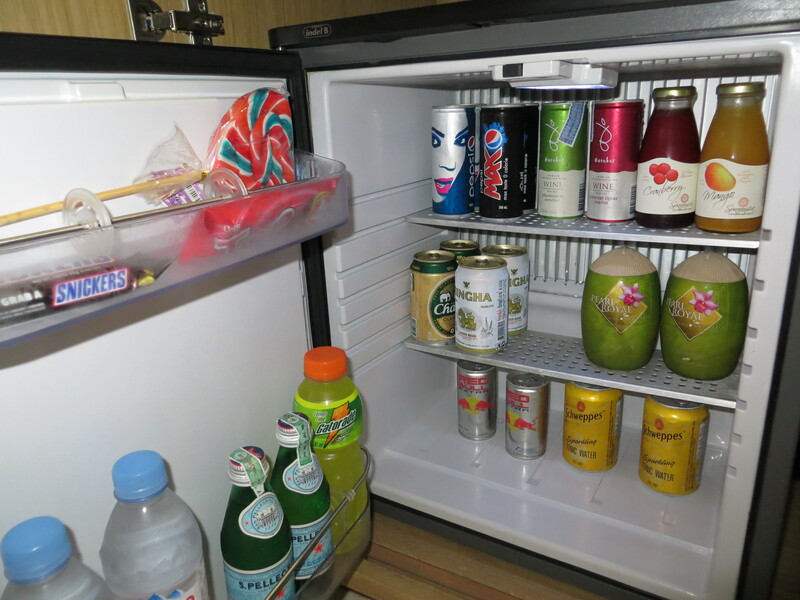 The fridge was stocked with some unique options. 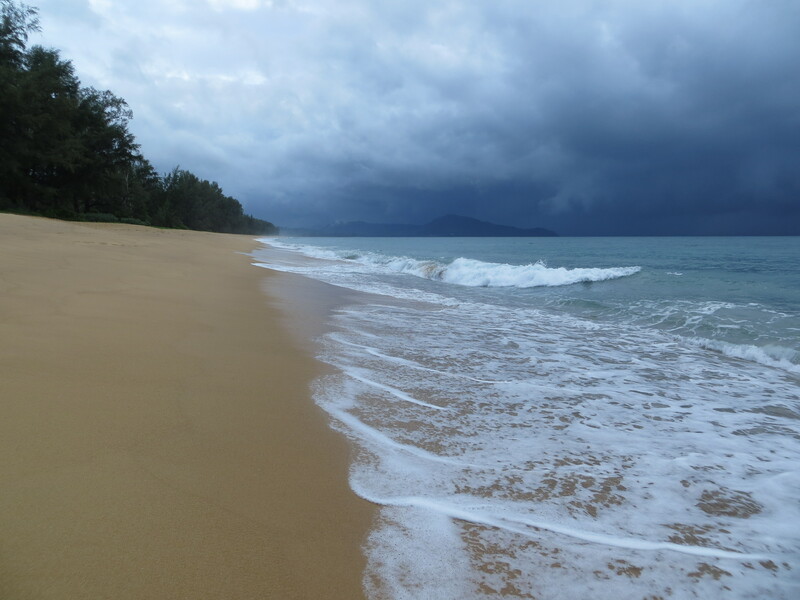 Stormy clouds didn’t prevent us from getting out and enjoying the beautiful Mai Khao Beach at the resort. We even swam in the waves with those clouds above us as it started to downpour. Was scary and fun, all at the same time. Enjoying mojitos at the beachside bar. And yes, that is some sun that was peeking through the clouds. But weather seems to change at the drop of a hat here and as soon as that sun came, stormy weather rolled in within minutes. The video below shows Armando’s constant curiosity as it dragged him out to take a closer look at what had just happened and where the sun disappeared to. So our last two days were not the beach-filled, sun-drenched days we were expecting but a bit of luxury sure made our time enjoyable, memorable and more relaxing than we could have hoped for to prep us for our long three-flight trip home and back to reality.